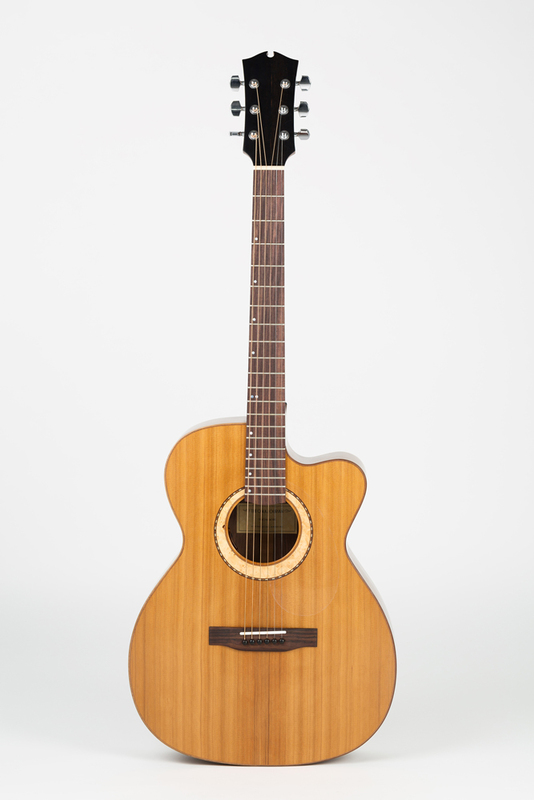 This model is a very versatile steel string guitar. 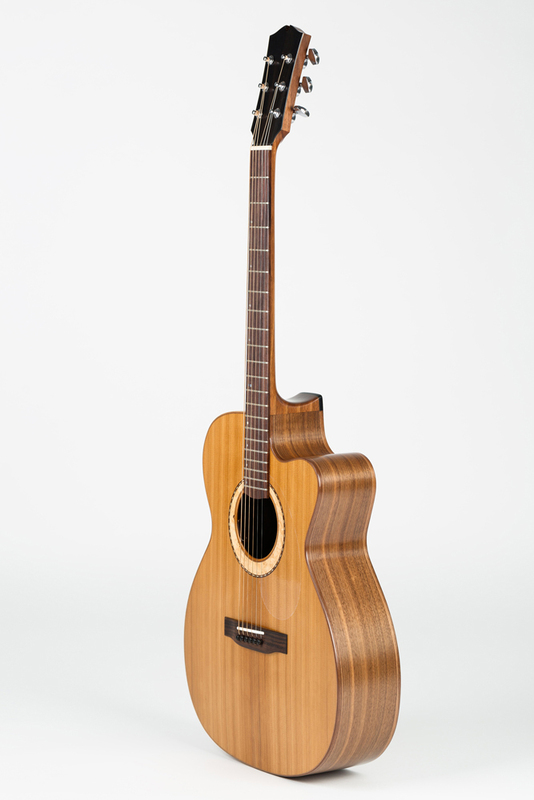 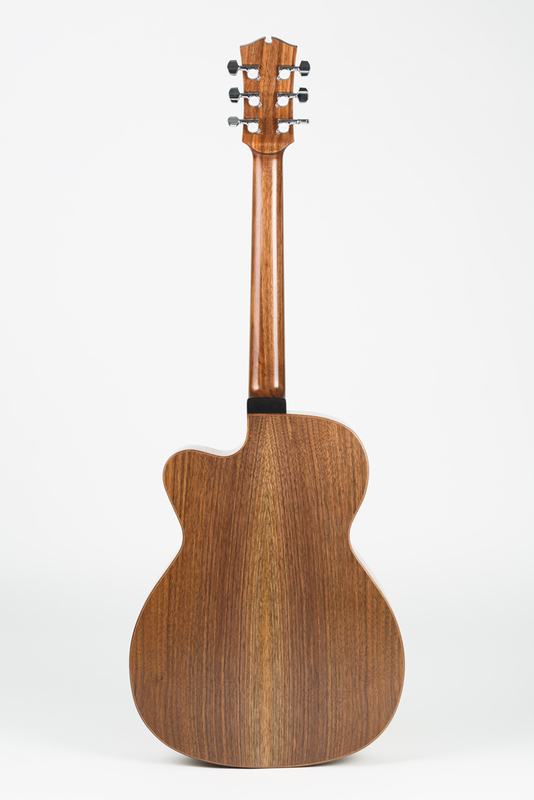 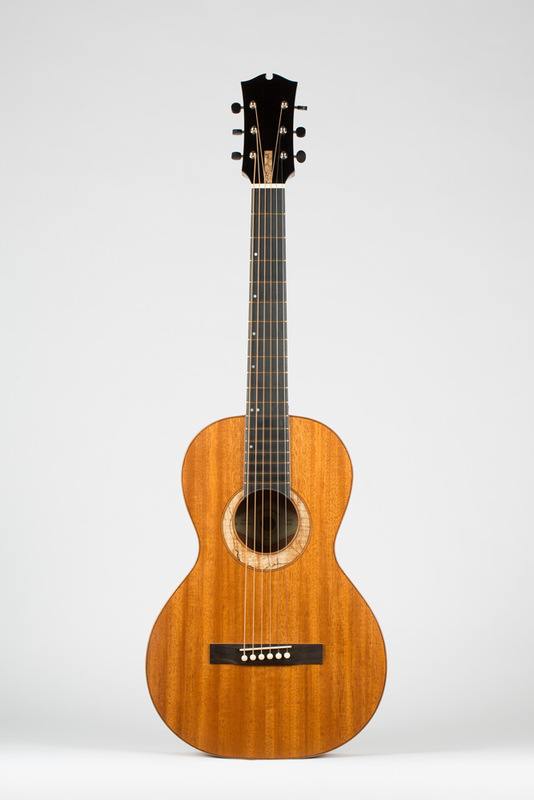 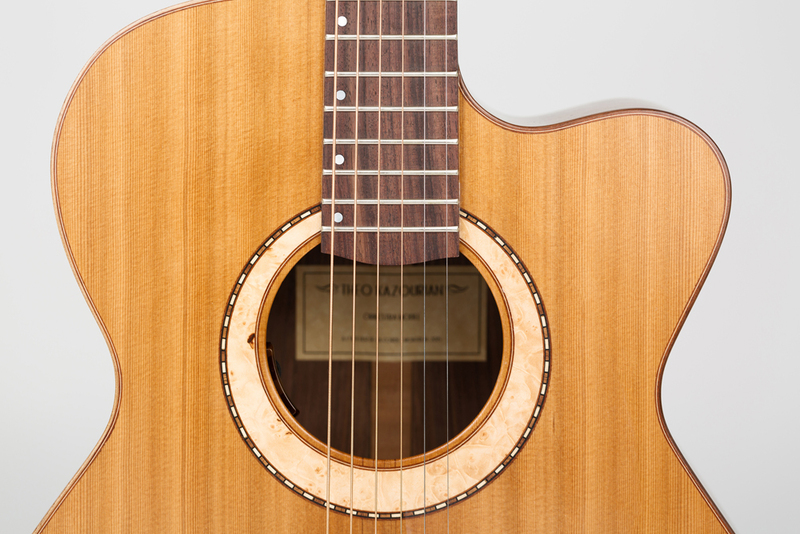 With warm basses and balanced trebles, this instrument suits both the fingerstyle or strumming player. 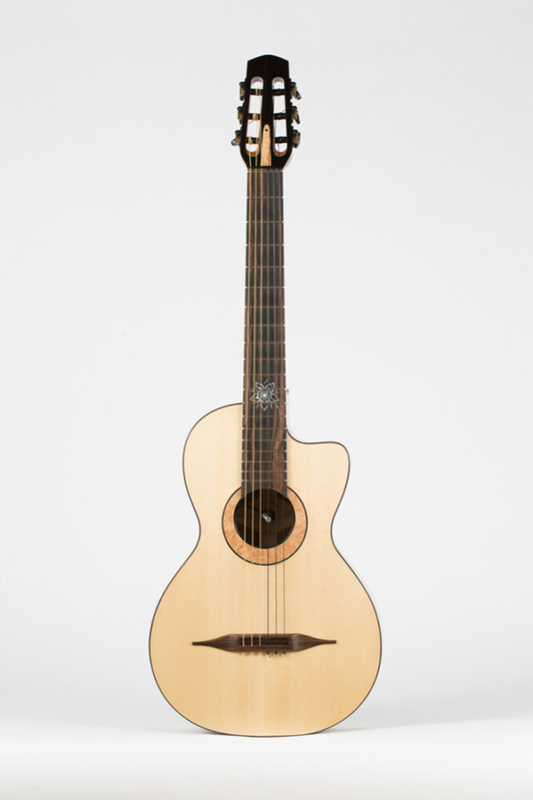 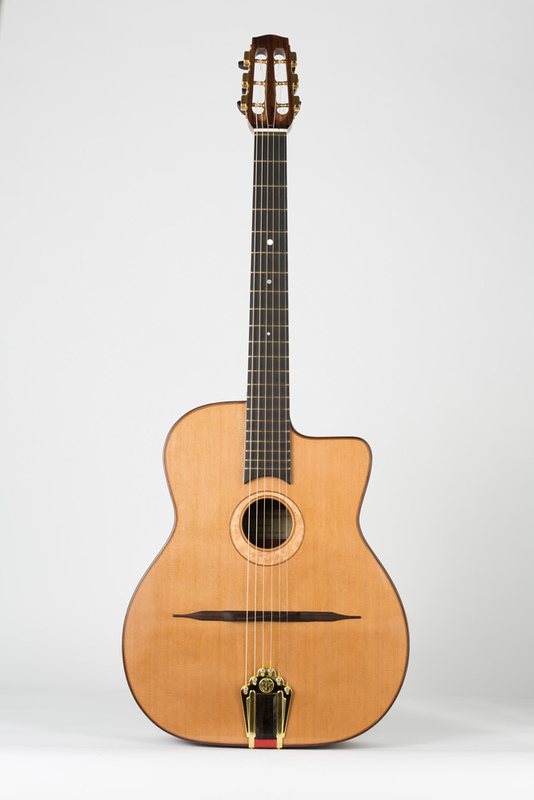 Powerful, it can also be played gently and will fulfill the room with a lot of harmonics. 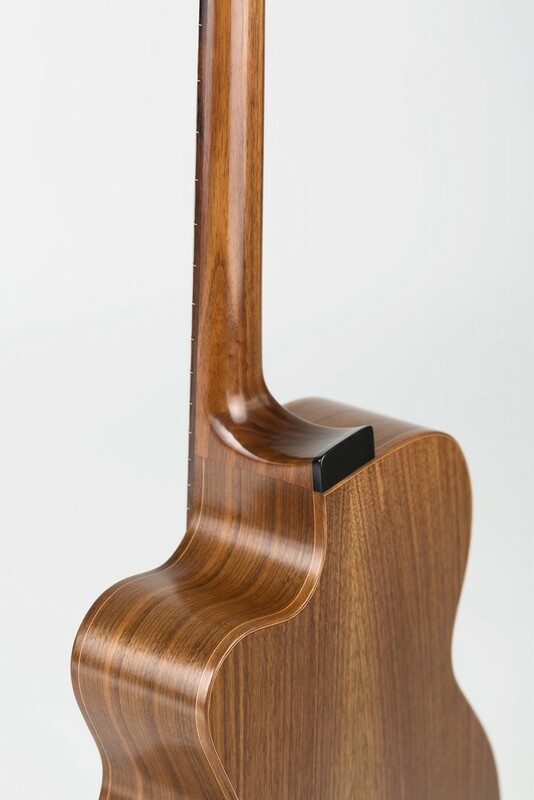 The presented model is mainly made of western red cedar and black walnut.